Thai Yoga Massage is a full body, relaxing and therapeutic massage treatment done on a thick cushioned floor mat. The practitioner guides the client through a series of passive yoga-like poses linked via slow, mindful movement, while applying pressure with palms, thumbs, and elbows along the body’s energy (“Sen”) lines and pressure points. Pressure is modified based on the client’s needs. ​With gentle joint manipulation and muscle stretching, this full body treatment releases tension, improves circulation, boosts the immune system, relaxes, and restores your energy to its natural flow. Bryarly has been exploring bodywork since 2009, when she completed her 200-hr Yoga Teacher Training with Yogrishi Vishvketu in India. 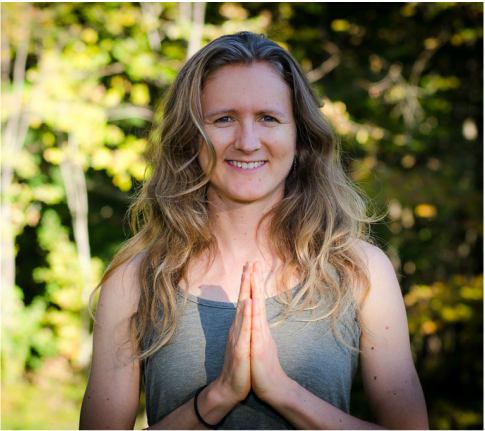 Since then she has taught Hatha and Yin Yoga to students in Vermont, Ottawa, and Chelsea, and more recently discovered her passion for Thai Yoga Massage. She first experienced Thai Yoga Massage in graduate school, when her housemate kindly offered it to her to ease stress and improve sleep. It worked wonders, motivating Bryarly to pursue training at Lotus Palm, North America’s first school to specialize in Thai Yoga Massage. As a therapist-in-training in Lotus Palm’s 6-level certification program, Bryarly welcomes people to come experience the improved flexibility, enhanced energy flow, and deep blissful relaxation of a Thai Yoga Massage. For a Thai Yoga Massage outside of Bryarly's studio hours (Tuesdays) , please contact her directly at bryarly@gmail.com or 613-858-8822.